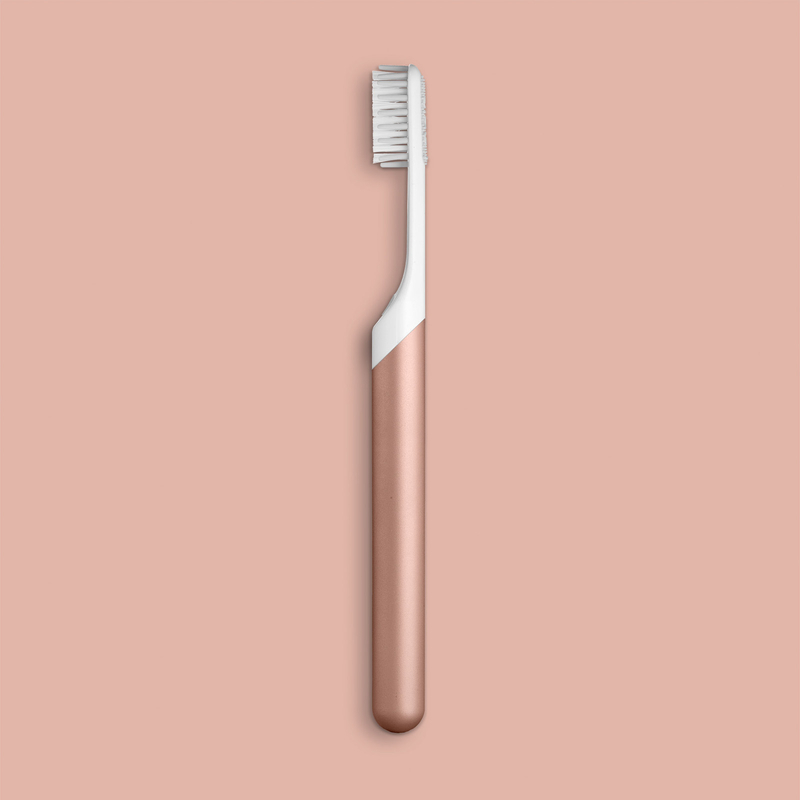 You've probably heard all the buzz about this chic, sleek, subscription-based toothbrush, and we're here to confirm that the rumors are true: It's pretty awesome. More likely than not, you've seen ads all over the internet for the Quip, a toothbrush whose brush heads are regularly delivered to your door. If its invasion of your social feeds hasn't compelled you to give it a try yet and you're in the market for a new toothbrush, you might want to keep reading! While delivered-to-your-door convenience may seem like a trite way to acknowledge the perks of this product — one that BuzzFeed Reviews has crowned the best electric toothbrush under $30, in fact — convenience is especially important when it comes to a product that’s going to help you stay on top of your oral-hygiene routine. That said, the Quip’s subscription-based model not only earns it the millennial stamp of approval, but it also makes it a damn good choice particularly for those who aren’t diligent about swapping out their brush heads regularly; it keeps track of that for you, sending a new one to your door every three months. 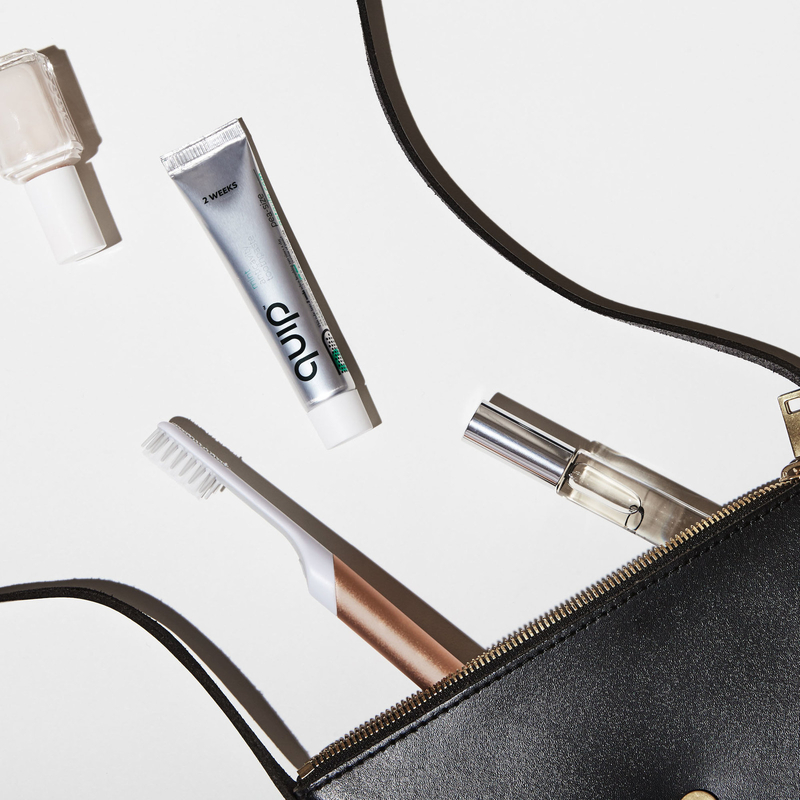 For $25 for the plastic version (or $40 if you want to splurge on a metallic finish), you’ll receive an electric toothbrush set, which includes the Quip brush, travel cover mount, a large toothpaste, and a travel-sized toothpaste. Then for $10 every three months, you’ll be sent a new brush head, AAA battery, and two different-sized toothpastes. You can also choose to prepay for a year, buy a couples’ (two brushes) or a family (four brushes) set, or purchase supplies piecemeal. There’s a plan for refills of just the brush head and battery for $5 every three months as well, with the initial brush priced at $5 more (i.e., $30+ instead of $25+). Do you live with light sleepers (👋parents of newborns)? Have limited bathroom counter space? Travel often? Or maybe you simply don't want to drop close to three figures on a toothbrush? Then the Quip might be a smart choice for you! Superficially speaking, the Quip’s clean, sleek aesthetic is what hipster dreams are made of: It’s significantly shorter and narrower than any of the clunky major electric toothbrush players on the market, and because it’s battery-powered with a regular ol’ AAA battery said to last three months, it doesn’t take up very much precious real estate on your bathroom sink. In fact, it doesn’t have to take up any space at all, if you make use of its wall-mount feature (pictured above), a sticky strip on the tube portion of its stand that also doubles as a travel cover. Given that it doesn’t require a charging station, it’s also super easy to travel with; just pop on the cover and you’re ready to go. Like most basic electric toothbrush models, it features a two-minute timer that buzzes every 30 seconds (aka a quadpacer) to signal moving to another quadrant of your mouth. TL;DR: The Quip is more than just chic branding, and it comes at a price point that’s as inviting as its design — now go on and buy that family subscription and share the joy of good oral hygiene with your loved ones! Get it from Quip starting at $25 (available in five colors). And check out our picks for mid-priced and high-end electric toothbrushes as well on BuzzFeed Reviews!